As the plane flew into Auckland, it passed over beautiful greenery, mountainous scenery and the two harbours Auckland is nestled between. The sun was shining and the pilot said “if you are visiting, enjoy your stay. If you are from Auckland, Welcome Home.” I felt I didn’t fit into either catagory but I liked the idea of New Zealand as home for a little while. Ricky had already made his way in the city with his 5 day head start so he helped me register myself, sort out a phone and showed me around. As a city, Auckland has little but in terms of location, it is surrounded by 50 volcanos and set on two harbours, a beautiful spot. On my second day we set up shop with coffees, computers and CV’s and began job hunting. We were taken to the game by an enthusiastic rugby fan who’s your to the train station included a few different significant spots for the Allblacks. Not quite as successful, the blues are second bottom in the league, the force bottom. 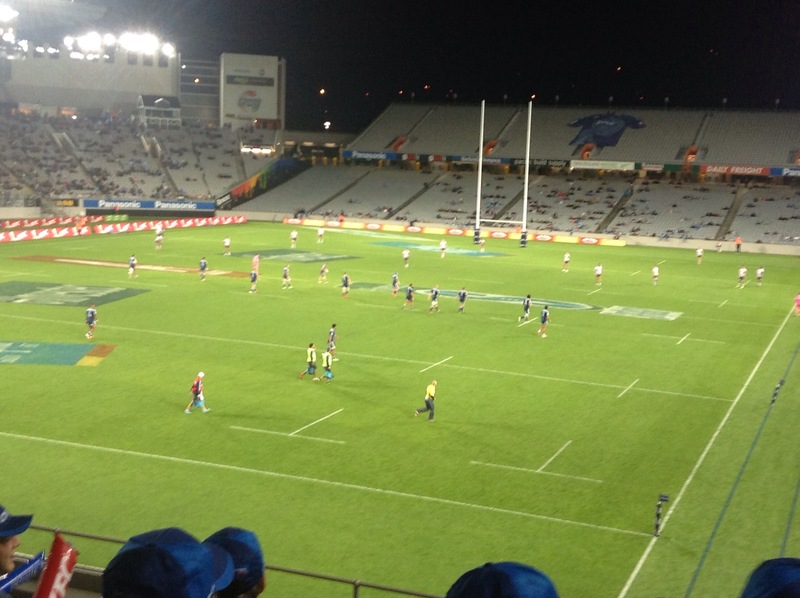 Although the stadium was less than half full, it was nice to see the game and be part of the atmosphere as the music blared for the Blues team who did eventually win. 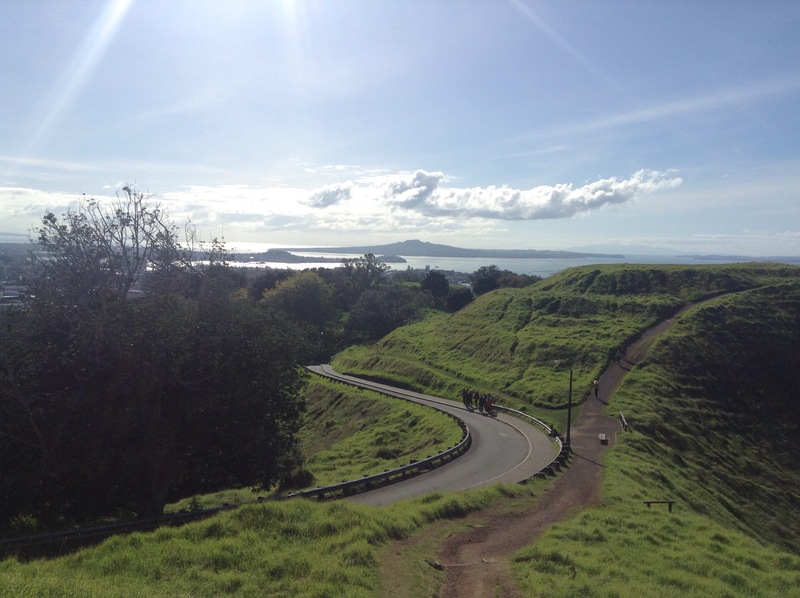 In between the job hunt, Ricky and I joined a walking tour which took us to Mount Eden, the highest of 50 volcanic craters in the city with an amazing view over the harbour and the outlying islands. Many of aucklands volcanos are still active! 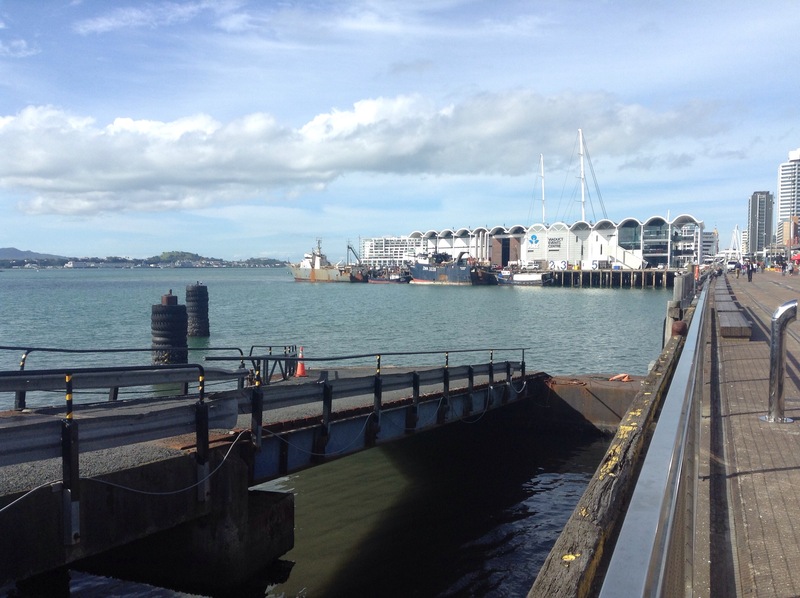 The tour then walked us through Newmarket and back to the city centre, winding through the CBD to the viaduct, fashionable harbour and fish market where freshly caught fish supply the city, and the best pickings are gone while most of us are still snoozing! 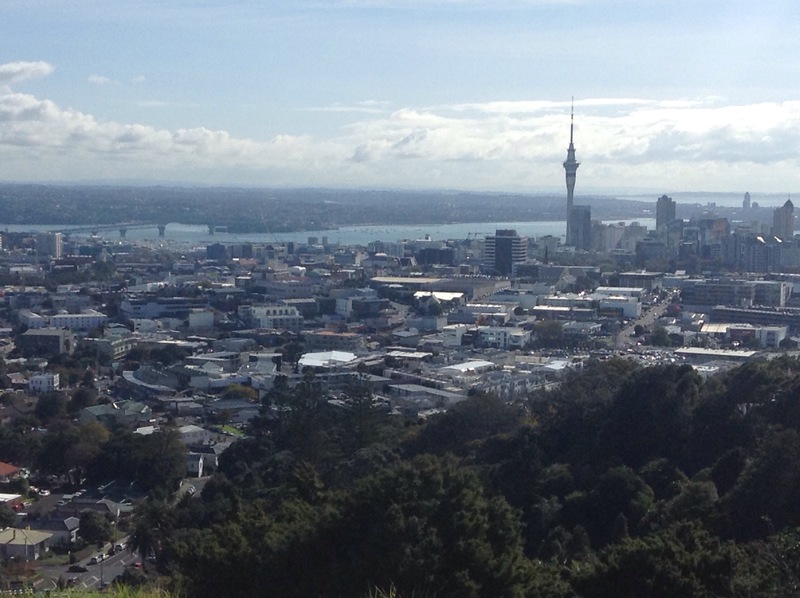 First impressions of Auckland were good, a nice place to settle for a few months. The view from the window over Rangitota Island reminds you what lays beyond the city. Quickly the work came in, preceded by bugs and colds from the quick climate change. Fighting fit once more I began temping at Westpac, a city bank, spending my weekends in a busy cafe, Circus Circus in the village like suburb of mount eden. How quickly a foreign city feels like home, a room in a long stay hostel with familiar faces and new friends is the place your shoes return you to after a long day. New routines and a smattering of friends means home describes not one singular place, but many all over the world, and for now, home is autumnal Auckland. It’s always fun to catch a popular local game.